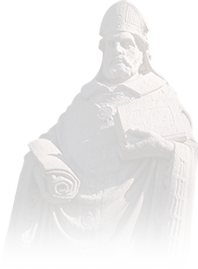 Serves as primary pastoral presence to St. Ambrose University and primary celebrant and custodian of the sacramental life of Christ the King Chapel. Fr. Thom also oversees liturgies, programming, and pastoral services to students; provides pastoral counseling and spiritual direction to members of the university community; directly supervises the Director of Faith Formation, Director of Music and Liturgy, and the Director for Service and Justice Ministry; and in coordination with the Director of Faith Formation oversees student sacramental preparation (Rite of Christian Initiation of Adults, Marriage Preparation, etc. ).